Entries with tag process . The sticky notes you find around Railinc tell stories about our culture and how we develop our products; how we learn from and work with our customers; and how we meet the technology needs of the freight rail industry. A recurring feature on the Railinc Tracks blog, Found on a Sticky Note takes a look at an individual sticky note and provides insights into who we are and what we do. One of Railinc’s biggest challenges is managing technology refresh. Our people work hard to stay in front of technology changes so we can adopt new tools and development approaches as our customers’ needs shift. Sometimes that means we leave behind old technologies. For example, Railinc completed its four-year mainframe migration project in 2015, moving the company from an expensive and rigid technology approach to a less costly, broader and more flexible midrange solution. How is that helping? By enabling us to grow applications and systems and to handle the ever-increasing amount of railroad data we manage. The move from Flex will enhance the quality of RailSight applications, support changes to how customers access and use RailSight, and lower the cost to serve customers, said Charles Paye, director of commercial products. “It lays a foundation for future growth and changes in RailSight,” Paye said. Description: As a Demand Trace User, I’m unable to enter invalid equipment formats when running a trace. About: This keeps users from searching invalid formats that won’t produce any trace results. Only alphanumeric entries allowed to be submitted in equipment field. User can copy/paste using mouse clicks. 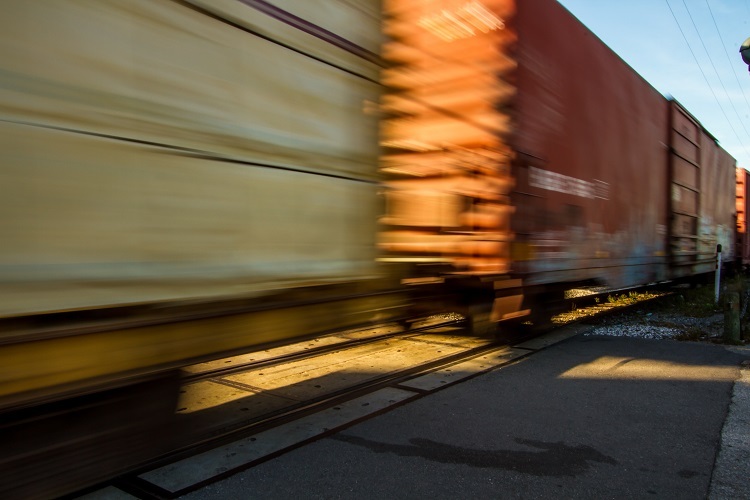 Part of the RailSight suite of applications, Demand Trace gives users the ability to access data through the complete lifecycle of shipments and equipment. Instead of subscribing to a feed of data, a Demand Trace user can keep tabs on a shipment by manually submitting or scheduling a query whenever they want. To submit one of these queries, a user enters a series of alphanumeric characters—two to four letters and one to six numbers—associated with a particular piece of rail equipment. Demand Trace returns data on shipment events, including location and scheduled arrival and departure times. The move to AngularJS allows for more separation of the UI on the back end. You can make changes to the front end, improving the way users interact with the app, without having to change the application itself. With the newly migrated Demand Trace, the development team set up restrictions for queries. Without the restrictions, users could input any alphanumeric combination—one letter and seven numbers, for example—and run a trace no matter whether the rail equipment ID format was valid. Instead, as soon as a customer enters an invalid character, an error message appears and the user cannot submit the search, preventing “bad queries” on cars that may not exist and any unnecessary charges. Developers also made it easier to copy and paste using keyboard shortcuts and the mouse. This makes it easier for users to move large amounts of data from an application like Excel to the query box in Demand Trace so they can get their work done more efficiently. There are reasons beyond flexibility to make the move to AngularJS. The ubiquity of mobile devices makes the move to AngularJS all the more necessary. While Flex supports interactivity, it is not supported by the two most common mobile operating systems—iOS and Android—and doesn’t enable responsive web design, which automatically adapts a web page to the type of device a customer is using. Not only are applications on the AngularJS platform mobile friendly, they’re easier to build and update. There is also more opportunity to automate testing, which speeds the development process. The platform also supports changes that will improve the overall user experience, bringing applications in line with what customers are used to on non-Flex web pages. 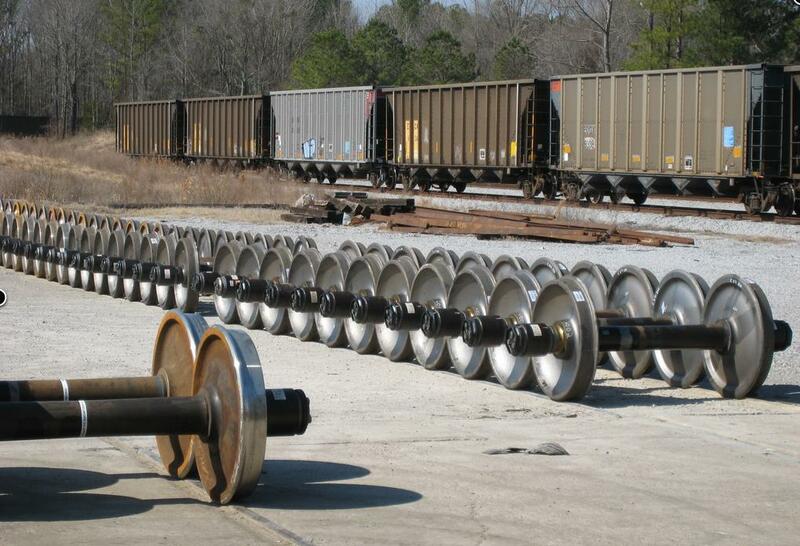 Since its launch three years ago, Railinc's component tracking program has increased the visibility of rail equipment components such as wheelsets, side frames, bolsters and couplers on railcars across North America. 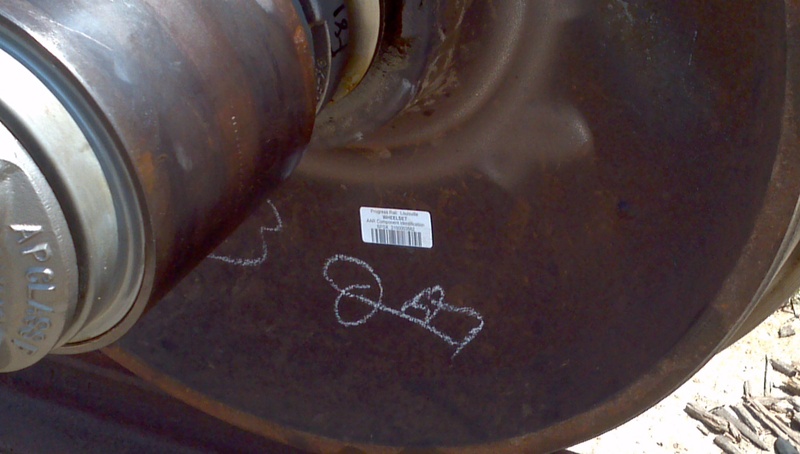 Today, when a newly manufactured wheelset goes into inventory, the wheel shop places a bar code (pictured below) on the axle and registers the wheelset with Railinc’s Umler® component registry. The process enables the car owner to monitor the wheelset and evaluate its performance. If a problem arises, the car owner can target the individual wheelset for research, analysis and even replacement. “As safety is a top priority, there is a need to know where components such as wheelsets, side frames, bolsters and couplers are located when in service, along with important manufacturing characteristics such as the design code, who manufactured them and where they were manufactured,” said Jerry Vaughn, director of asset services and Umler product manager. This detailed view of rail equipment health and performance data provides personnel across the rail network with information that may improve rail safety, reduce maintenance costs, and support more efficient and effective rail operations. And the view is only going to get better. The latest phase of the program is under way and will add key brake valve components to the registry. Railinc works with the freight rail industry through industry committees sponsored by the Association of American Railroads (AAR). The AAR’s Equipment Health Monitoring Committee and other committees help to define data requirements for component registration and develop schedules for mandatory registration and association throughout the industry. The typical timeline for phasing in new components allows for six months of development and a year to implement rule changes. The component tracking program involves millions of components and big data, so it requires sophisticated and reliable technology. That’s where Railinc comes in. The Umler component registry is a dynamic database designed to process updates quickly and efficiently. To accommodate new component specifications, Railinc adds a new value in a metadata description and creates the business rules required to ensure high levels of data quality. “Separating the business rules gives us visibility to decisions that normally occur in the technical code and creates efficiencies that lower our total costs,” Vaughn said. 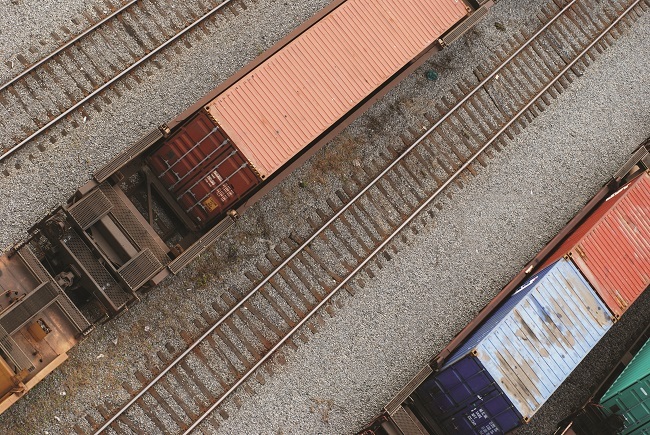 The freight rail industry continues to move forward with the adoption of component tagging. According to Vaughn, 55 percent of all wheelsets in the North American railcar fleet now have an associated component ID (CID). Nearly 5 million wheelsets are registered in the Umler component registry, and about 3.3 million wheelsets are associated with individual railcars. Even more wheelsets will get CIDs soon because normal wear requires the replacement or refurbishing of wheelsets about every five years. The success of the wheelsets phase enabled the addition of side frames, bolsters and couplers to the component tracking program in 2013. And the industry added another component to the program last year. Brake valve registration and association are voluntary now. That changes in July, when industry rules will require registration. Mandatory association of brake valves on newly built cars and existing cars begins in January 2016. Building a component tracking program is like creating a high-tech treasure map. There are more than 1 million places to look for specific components in service across North America. Using that map to find the component you're looking for when you need to is like discovering riches measured in safety and efficiency. Thanks to the efforts of AAR industry committees, suppliers and Vaughn’s team at Railinc, tracking components is getting much easier. And everyone gets to share in the wealth.